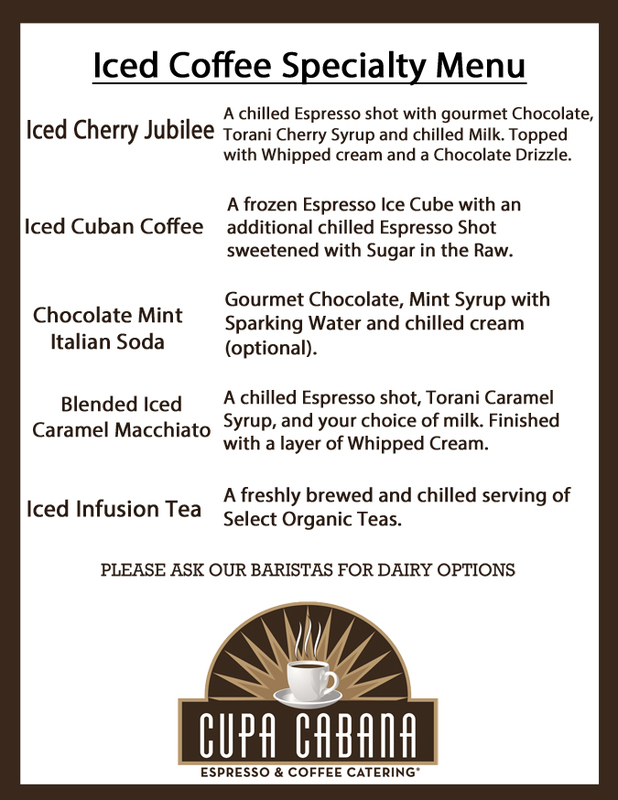 Our new Iced Coffee Specialty Menu is a surefire way to beat the Summer heat. We are excited to offer this Add On Service to our Standard Menu throughout the Summer Months. These artisanal drinks have been designed and crafted by our baristas to bring only the best to Events, Private Functions, Businesses, and Homes across the Tri State Area. 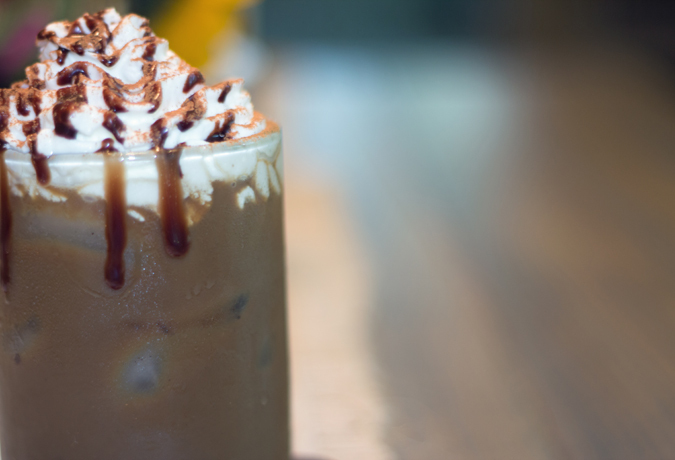 Iced Cherry Jubilee – A chilled Espresso shot with gourmet Chocolate, Torani Cherry Syrup and chilled Milk. Topped with Whipped cream and a Chocolate Drizzle. 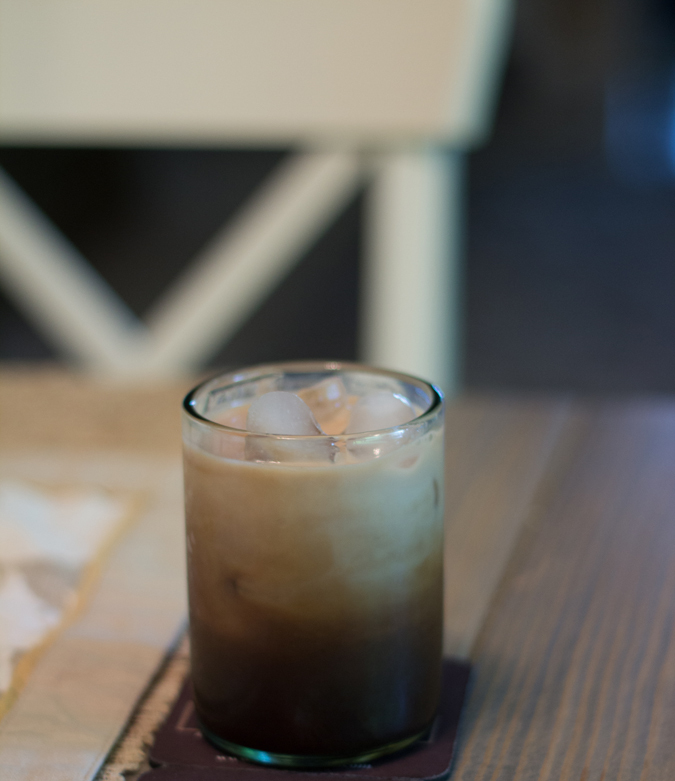 Iced Cuban Coffee – A frozen Espresso Ice Cube with an additional chilled Espresso Shot sweetened with Sugar in the Raw. Chocolate Mint Italian Soda – Gourmet Chocolate, Mint Syrup with Sparking Water and chilled cream (optional). Blended Iced Caramel Macchiato – A chilled Espresso shot, Torani Caramel Syrup, and your choice of milk. Finished with a layer of Whipped Cream. Iced Infusion Tea – A freshly brewed and chilled serving of Select Organic Teas.